Sometimes I think I still have a little girl heart. I was carrying a burden and a question in my heart and really longed for God's wisdom on how to proceed. I stepped into my car, put on my Christmas music as I traveled the freeway and prayed honestly to God. 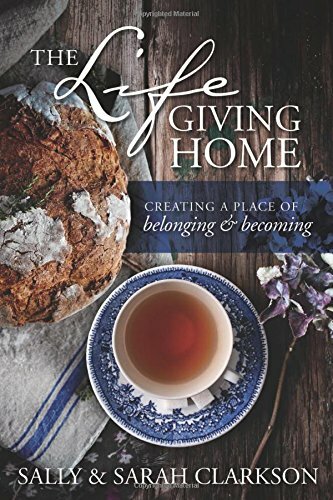 As I was engaged in the reverie of my own atmosphere, I began to feel as though I was His beloved little girl, that He wanted to Father me and that I could trust Him to work out my issues. By the time I ended my 25 minute drive, my mind was flowing with all sorts of creative ideas, I was singing in my heart, not just in my car and I felt so delighted of heart, I was a little bit giddy. I do not want to trivialize spiritual maturity or the deep issues of our lives as we look at the landscape of our world. Yet, I have learned that I am not to carry the fears and issues of the world, I am to leave them in His hands and seek to be as faithful as I can in the story He has allotted me. I have been slowly learning over the years that worry and living by fear is a constant drain and brings a cloud over my head and fog in my heart. As we observe our little children, we see that they do not question our ability to take care of them. They play and pretend and observe life honestly and have a deep sense of security in our love because they learn to expect that we will care for them and meet their needs. It is right and good for our children to come to us expecting comfort, love, affection, wisdom, affirmation and joy. And so it is right for us to come to our perfect heavenly Father expecting the same. But, I believe that when I am able, God wants me to strain to see the beauty, to store up joy, to enjoy the innocence that comes from knowing I am not responsible for things too difficult for me to figure out. Do you involve yourself in matters too difficult for you? Are you learning to calm yourself? I wonder what our Christian world would be like if believers really trusted God to work in the details of life, if they really trusted that He was good, If they lived by faith instead of by works? God still wants to show His response to prayer, His care for the details of our life and Christmas is a perfect time to please His heart by choosing to trust into His hands the issues of our lives. On Thursday night of my Lifegiving Christmas Tea, the audio and video started having issues. Some sweet person commented, "Even when things go awry, Sally just seems the same--unaffected." How very generous of her to say that. Yet, I have learned that if I have been faithful, diligent and life still explodes or acts up in ways unexpected, it is not something I can change by being anxious. I don't worry as much, I just let life happen because I have learned that there will always be potholes. 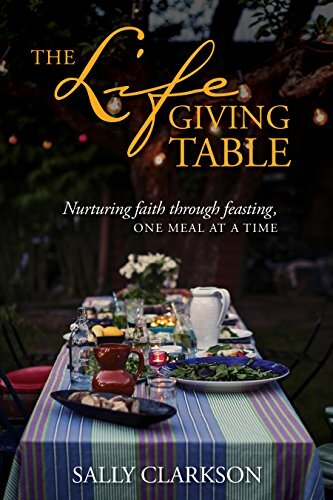 Women who are just married, or having their first little one or in need of vision would be inspired to read The Lifegiving Home or The Lifegiving Table. 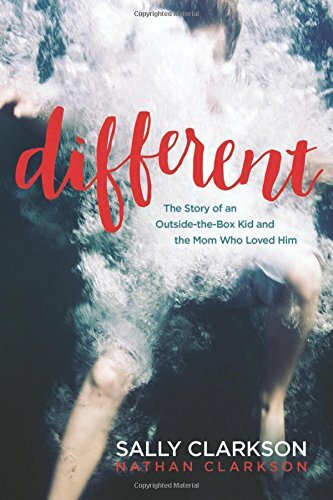 Do you know of a sweet friend who is struggling with a Different, out of the box child? Maybe they would be encouraged to know they are not alone. So we are giving away a Different book, too. If you have been encouraged by our ministry, our books, our conferences, my podcasts over the years, would you please share about them with your friends so that we can continue to help families build a godly legacy? Tell us how you have shared our blog or books or podcasts somewhere and leave it in the comments below and you will be entered into our giveaway. We appreciate our community of like-minded friends so very much. May God bless you with His grace today.